As Randy and I were driving back to Texas from Arizona the past two days, we reflected on several things that I thought might be fun to share. Driving through the desert in Arizona and New Mexico, one has LOTS of time to think, especially when someone falls asleep the minute he is the passenger and I am the driver. After I reminded him that I was very considerate in being sure I talked to him the entire time he was driving to assure that he didn’t fall asleep, I was told that yes, he is aware that I do talk the ENTIRE time and there isn’t a chance of him falling asleep, even thought he would love to do so…just to get some peace and quiet. Maybe we had a little too much time in the car together this trip. But…it did give me time to ponder some of the new wonders and sights that we found driving though the cactus thriving desert that goes on for miles and miles and miles. So here are the Travel Truths that we thought might be of some interest to you on your next car trip. 1. Remember to always pack your CD’s or books on tape, because without them, the miles seem endless, especially when you have no one to talk to because they are sleeping, while you drive. 2. Keep a bag of peanut M&M’s on the console to snack on, chocolate makes the time go so much sweeter. I finally figured out that Randy kept handing me candy, even while he was driving, hoping that it would keep me from talking if I had my mouth full. Didn’t work. I am so talented that I can talk, even with a mouth full of candy. 4. The Indian Reservations have the most beautiful old Catholic churches I have seen this side of Italy. 5. The cheaper the hotel, the lousier the free breakfast. Why hadn’t I thought of that before booking? Worth a little more to at least have butter to put on those free pancakes. 6. Just like always getting in the line at the store, which is moving the slowest, we seem to always get the hotel room which is right beside precious little teenagers who are up all night, slamming the doors going in and out to visit with their friends who are on the other side of our room. How does this always happen? 7.Get off the highway to find the mom & pop restaurants, they have so much better food than the fast food chains. Don’t be afraid to step out of your comfort zone of hamburger joints. We have found several places that we count as “favorites” now along the highway between Texas and California. 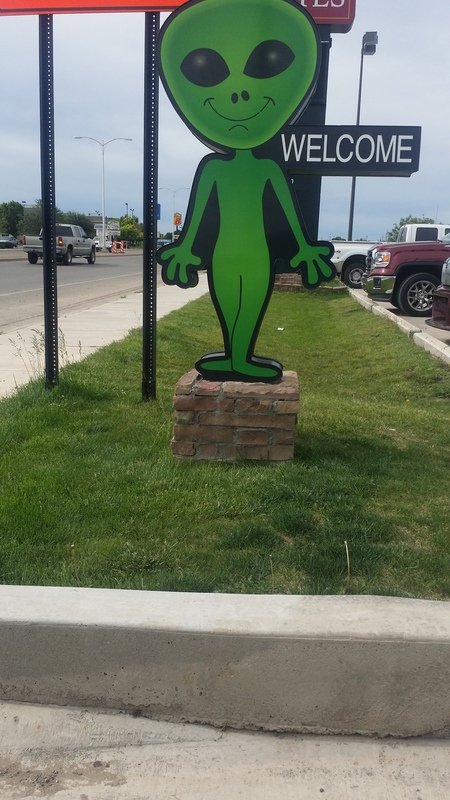 Have met such interesting people getting off the highway. Also learned a few new recipes from these great out of the way places. 8. No matter how much you want to get to a certain restaurant before it closes, do not, I repeat, do not, speed through Ruidoso, NM. The $75 speeding ticket made our “smothered in green chile sauce soppapilla” not taste as good as it usually does. 9. Do not eat green chles two days in a row, as you will really notice the lack of rest stops going through the desert. 10. 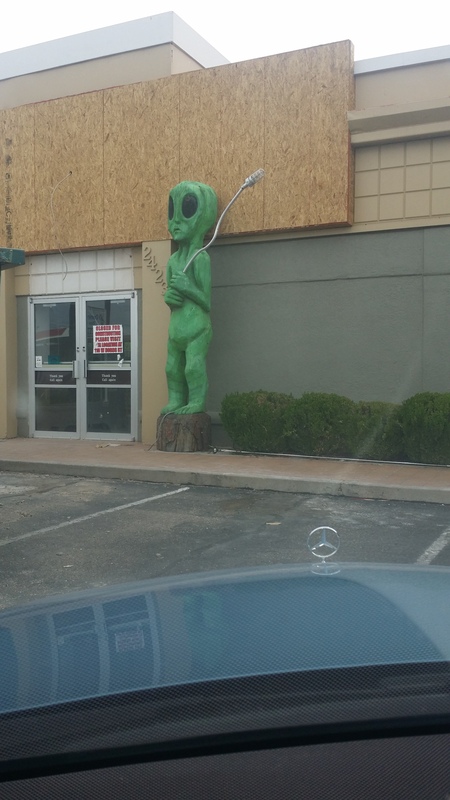 The Border Patrol’s need to hire a few more agents, we found alien after alien up and down the streets of Roswell! 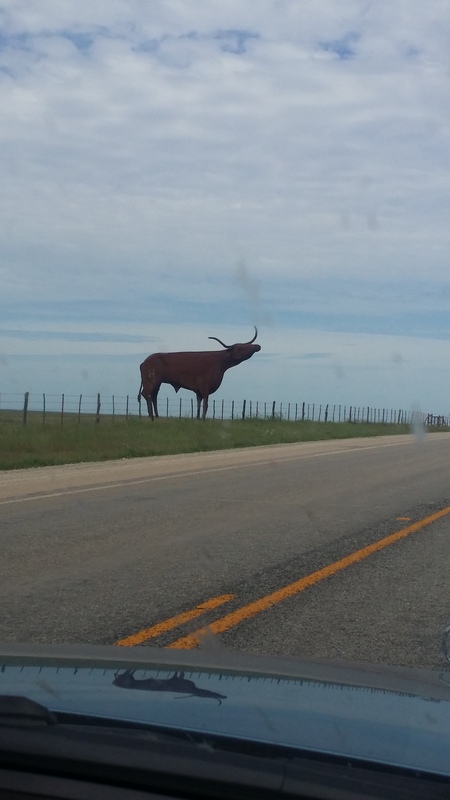 11, Last one, truly everything in Texas is bigger!!! now you guys sound like you travel like “the rest of us”,……. so cute, glad you were able to visit your kids…. are you guys EVER home? why don’t you just sell and get a motor home…. ? we are in pismo beach enjoying some r & r…. little business work….. etc…. lovely….lovely!